Modern Art's Phonotel allows visitors to check their mobile phones into one of our 60 beautifully furnished phonotel rooms for a few hours, a day, or the entire weekend. Your treasured device will be pampered and treated with care while you spend your newly discovered free time exploring the city of Lancaster. Think of it as disconnecting in order to reconnect—with real people, art, nature, food, and all of the other amazing things our community has to offer. The Phonotel @ Modern Art offers a variety of materials to help you enjoy your phone-free time, including a specially-designed Survival Guide (with tips and recommendations of what to do without your phone) a friendly concierge to provide directions, suggestions and moral support, wooden dummy phones to hold close to your ear, instant cameras, sketchbooks, postcards and more-- all to give you, and your phone, that technology-free break you deserve. 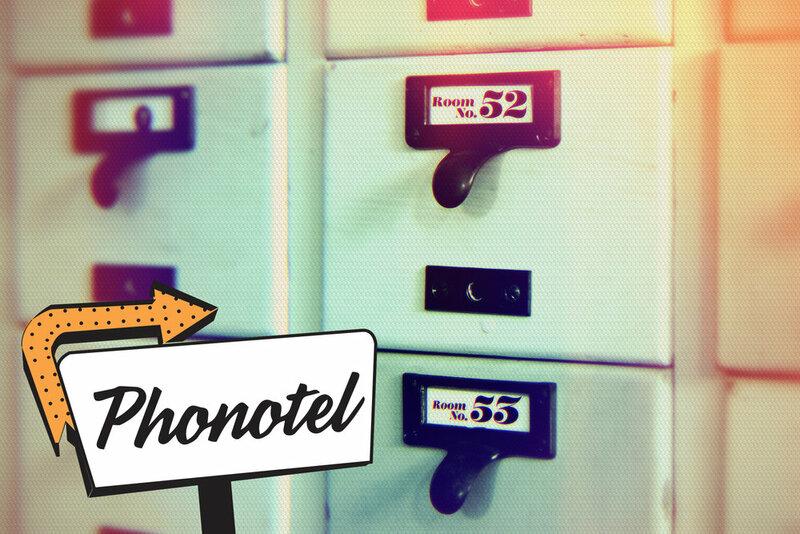 The Phonotel will be open from Saturday May 6 at 9am through Sunday, May 7 at 5pm. Join us for a special happy hour reception in the lobby from 4-6 on Saturday, May 6, or our continental breakfast on Sunday, May 7 from 10-12. A Button that says "Please be patient. I've checked my phone into the Phonotel"
Reserve your (phone's) room today! 610-761-9799 and check out the Facebook event page here.